Un lindo fin de semana para todos! i like the free p. top.. so romantic.. I've been looking for a lace dress. I've been looking at a lot of vintage shops for some as well. There's a lot of good ones still out there!! OMG! i had a lace dress in my hand the whole time i was at forever 21 but i decided not to buy it! =( now i wish i had bought it!!!!!! love em! i also really like the lace bodysuit trend. what do you think? i was thinking of just getting a lace shirt to wear over a tank. lacey dresses are so pretty, I like the D&G ones! 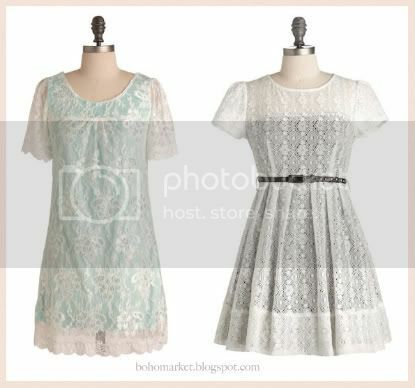 oh i love those ModCloth lace dresses! ahh what is it about lace that is so bloody amazing?! I love lace, especially in a dress! 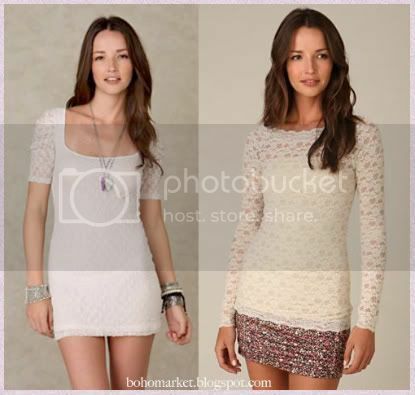 I've been contemplating buying this really cute lace dress on Forever 21's Twelve by Twelve site. Thank you for this inspiration, I'm now going to buy it! Have a whimsical weekend! love the lace dresses, they are all stunning! I love white lace dresses. I have one, which I'm planning on wearing all summer. I love the Modcloth ones. 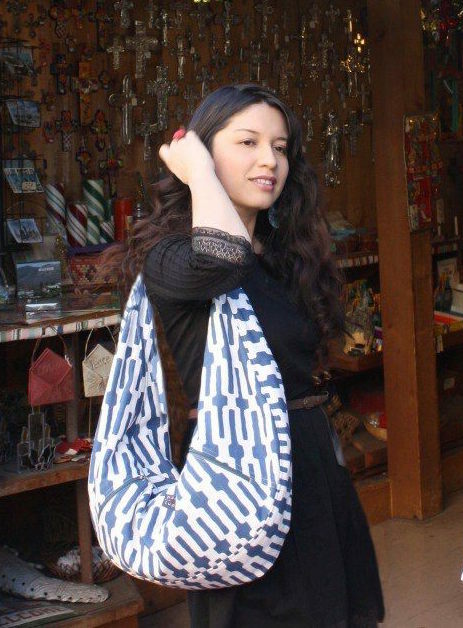 Gorgeous finds, darling! I love lace! I think it's very interesting that lace can make the wearer seem both provocative and innocent at the same time. Great pics. Lace is always beautiful. ooohhh, these are so pretty! i should invest in one for myself! these dresses are soo pretty, i love the dolce & gabbana one! If i am really honest...I am not a fan of D&G at all! 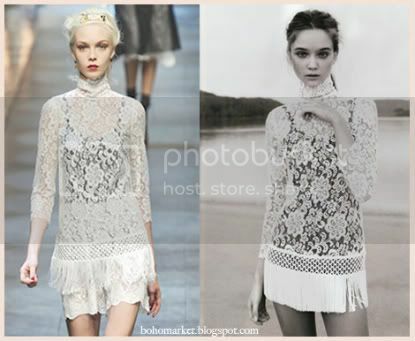 But I truly love that first lace dress, it's sweet and delicate. pucha todo esta hermoso! m encanta giovanna! ♥ un abrazote! ¡me encanta el petite dress de asos! ¡qué lindo está! justo esta semana usé un lace top blanco (está en mi blog), aún no sé con qué más combinarlo, quiero que haga un poco más de frío (en invierno me siento más creativa jaja). ¡gracias por pasar por mi blog Giovannnita! El primer vestido es precioso y ZARA ha sacado un clon que he visto hoy mismo en una de sus tiendas de Madrid, pero seguro que si buscas un poco, lo encuentras también en NY. I just adore that mint dress! So gorgeous. that gabanna collection was gorgeous. Great finds...I love how timeless and feminine lace is. It is one of those things that shall always reaming fashionable. I love these dresses! Lace is always so delicate and feminine. Gorgeous! I love your finds. I'm totally loving the baby pink number! Love these lace dresses, so very pretty! I love the second Modcloth dress!